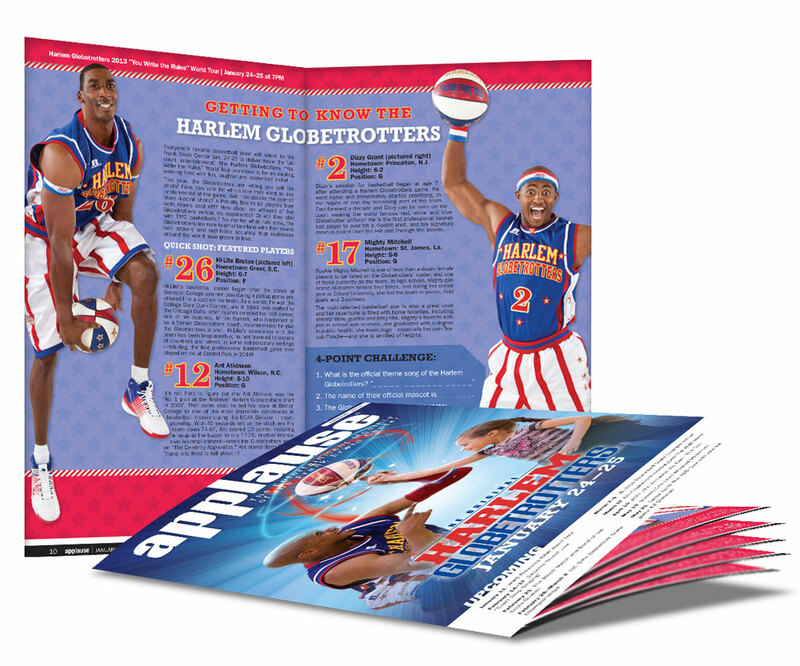 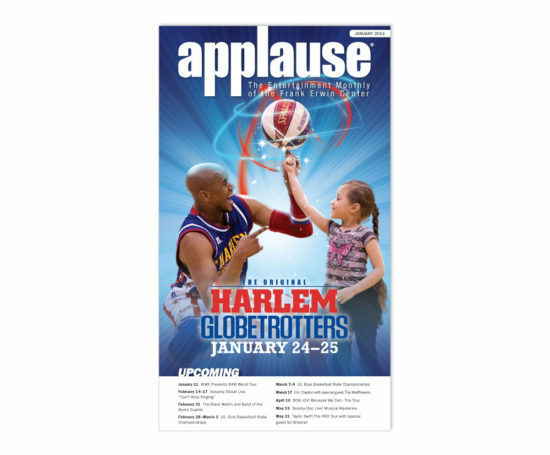 Applause was the monthly print magazine of the Frank Erwin Center that was distributed at events and emailed (digital version) to 70,000 subscribers. 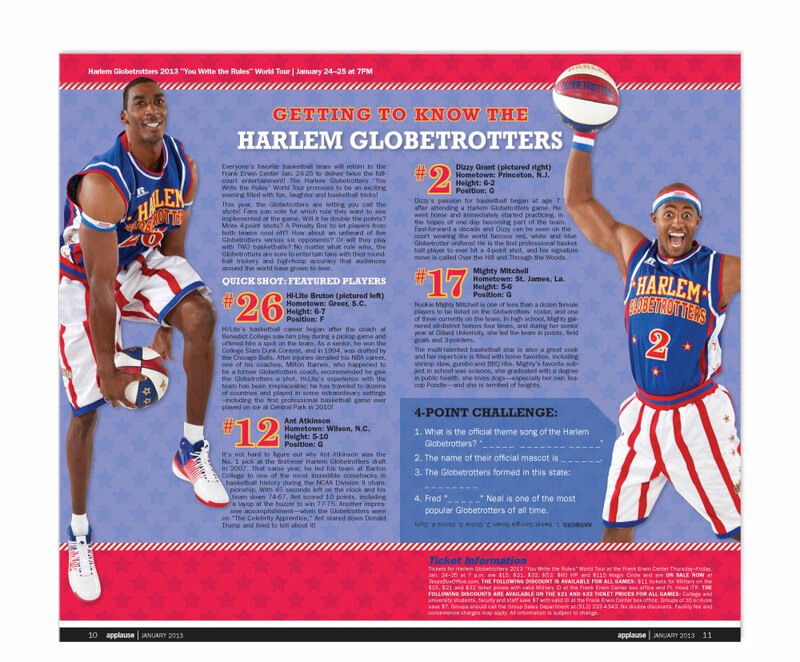 I created the cover and spread in InDesign using both Photoshop created images and promoter supplied artwork. This was the January 2013 issue of Applause.